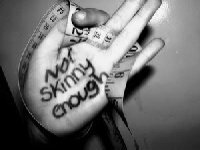 Anorexia is characterised by extreme restriction of food intake, usually combined with excessive exercise, an intense fear of gaining weight or of becoming fat, and the refusal to maintain a minimal body weight for age and height. In 'typical' anorexia cases, amenorrhea -the absence of at least three consecutive menstrual cycles- is also present. Sufferers tend to create certain 'rituals' around their food, such as cutting it in very small pieces and eating a specific amount at specific times of the day, weighing themselves several times a day, and religiously counting the exact number of calories in anything they eat. People with anorexia also exhibit a significantly distorted perception of their body shape and weight, partly due to the effects of starvation on brain chemistry and function. Looking in the mirror, an anorexia sufferer will still see an overweight body, even when the actual body weight is incredibly low. Specific personality traits and psychological characteristics have been associated with the development of anorexia, such as perfectionism and dichotomous, 'black-and-white' thinking (e.g. ''If I'm not perfect, I have totally failed''), avoidance and denial of negative, overwhelming or 'unacceptable' emotions and core feelings of 'badness' and worthlessness, etc. It is important to distinguish between loss of appetite due to physical or emotional reasons (illness, depression, brain damage, etc) and anorexia. People with anorexia have not lost their appetite; on the contrary, they are deeply hungry, on many levels, but have become experts in ignoring and suppressing the signs of their hunger. In fact, their whole life revolves around food, as they think and also often talk about it continuously, and are always willing to offer it to other people -but not to themselves. Anorexia nervosa is a serious condition, as prolonged starvation causes a number of physical problems, such as extreme fatigue, digestive issues, bone loss, slow heart rate, hormone imbalance, etc, while when it remains untreated, can even lead to death. The psychological and emotional effects of anorexia include frequent mood swings, depression, poor concentration and insomnia. Nevertheless, recovery is possible, as the body's self-healing powers are extraordinary, when the appropriate kind of multidisciplinary, multidimensional support is provided. The most important and, simultaneously, most challenging requisite for the beginning of a successful treatment of anorexia is the admittance and acknowledgment of the condition by the sufferer, and thus the overcoming of the intense denial that always accompanies this disorder and prevents sufferers from seeking help. Following that, a comprehensive treatment plan can be applied, addressing all the different aspects of the issue, with unquestionable priority given to the stabilisation of the weight and health of the individual, while, at the same time, working on the deeper, fundamental aspects and causes of the problem. 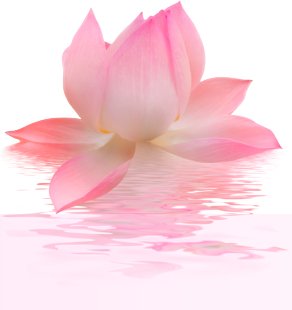 If you think that you are suffering from anorexia and are ready to take the first step towards recovery, health and well-being, or if you feel ambivalent about reaching out, or would like to discuss any concerns regarding your challenges and how I could be of help, please call me on 07450256556, or contact me through the form below.